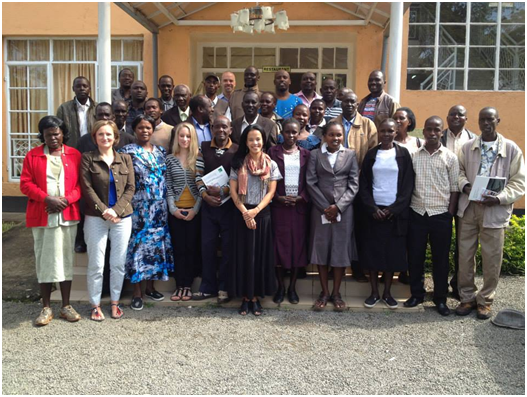 The Endorois community clarifies priorities for land restitution and reparations, advancing implementation of the precedent-setting recommendations of the African Commission on Human and Peoples’ Rights to Kenya. ESCR-Net’s Working Group on Women and ESCR shared the impacts of the economic crisis on women’s rights and advocated a substantive equality approach at the seventh session of the UN Working Group on the issue of discrimination against women in law and in practice. 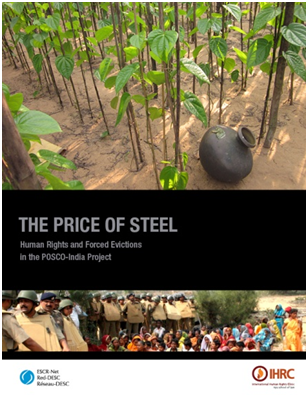 ESCR-Net, with IHRC at NYU, released a report on human rights abuses and forced evictions in the context of the POSCO-India project in Odisha (in English, with a summary in Korean), while advancing investor advocacy, media engagement, and related actions (available on the campaign website). ESCR-Net’s Corporate Accountability Working Group (CAWG) will co-host with ESCR-Net member, FORUM-ASIA, the inaugural Peoples’ Forum on Human Rights & Business, as an international space for strategic exchange and agenda-setting among social movements and civil society groups advancing corporate accountability. ESCR-Net’s Adjudication Working Group facilitated strategic discussions with organizations in Slovakia and Bosnia and Herzegovina, exploring possibilities of litigation under the International Covenant on Economic, Social and Cultural Rights (OP-ICESCR). Follow us on Twitter: @ESCRNet and @opicescr - the NGO Campaign for the Optional Protocol to the ICESCR.